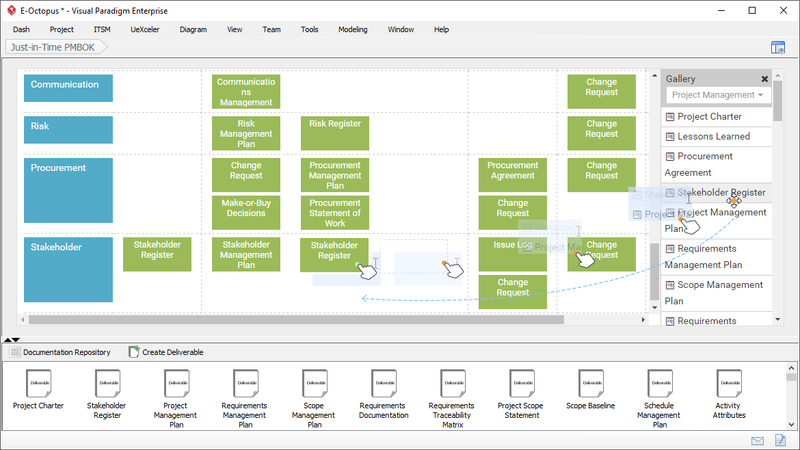 Kick-start any size of projects with customizable PMBOK Process Map using just-in-time approach. Tailor the process by drag & drop work items from the gallery into the Just-In-Time Process. Create your own reusable work items with Work Item Composer to be included in the process. 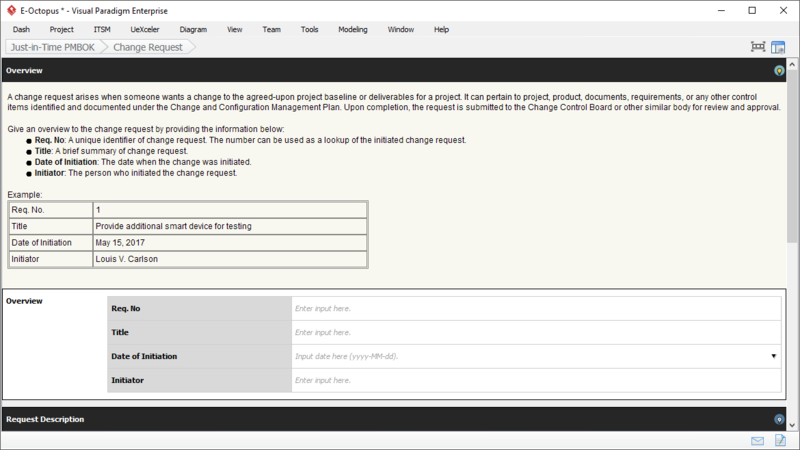 Generate deliverables automatically using pre-defined deliverable templates, or design your own deliverable documents with the Just-in-Time Doc. Composer at your own choice. I like standard process (i.e. PMBOK, PRINCE2 or ITIL), but I need to tailor some of the steps or deliverables to fit my own needs. 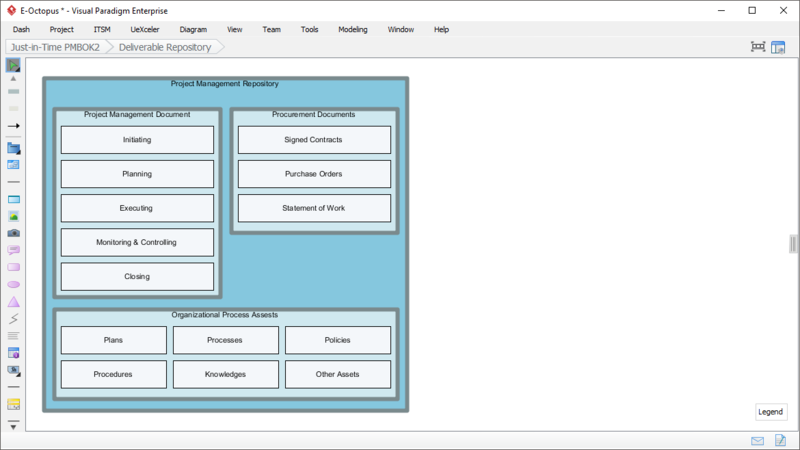 I want to create some work items such as forms, meeting & templates, diagrams and be able to reuse them in an automated process tool in the future. Produce the deliverables required by a standard is often tedious and very time consuming. Streamline project management process and let our team stay competitive, able to response to change quicker in a an automated workflow. 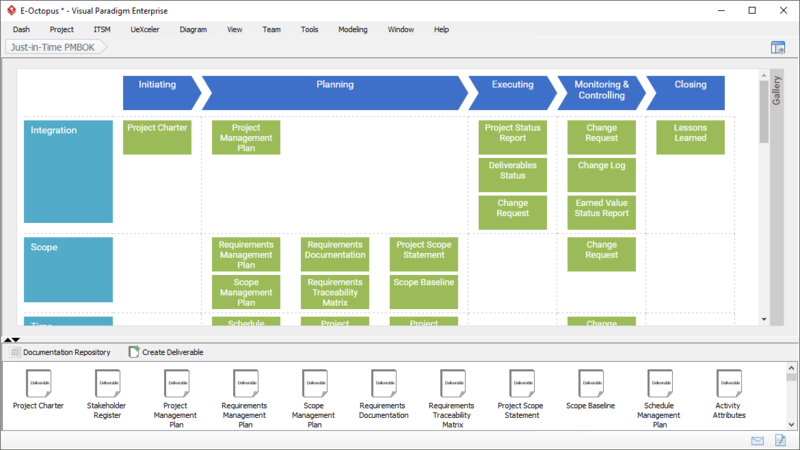 Visual Paradigm's Just-In-Time Process provides easy-to-use Process Map for embedding the instructions, samples, steps, input references as work items to form a custom process such as, a modified version of PMBOK or PRINCE2 to fit your specific needs. 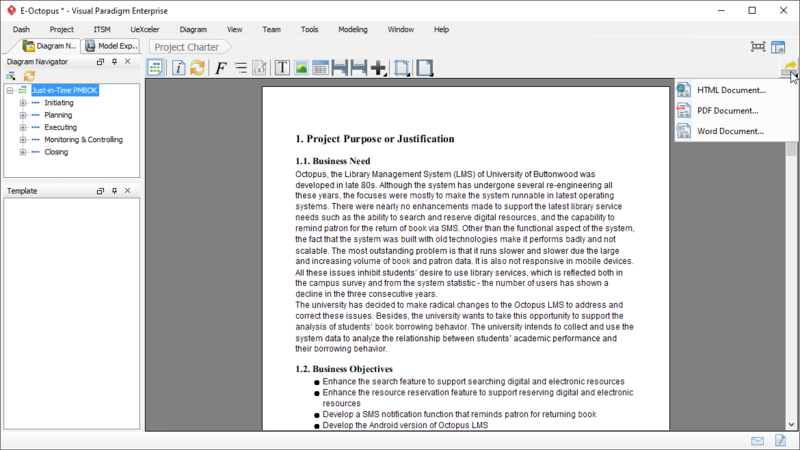 You may customize the out-of-the box standard templates by dragging or dropping work items in the Process Map. You don't have to determine what work items to be included in the process upfront, but adding more and removing them in a just-in-time and just-enough manner. 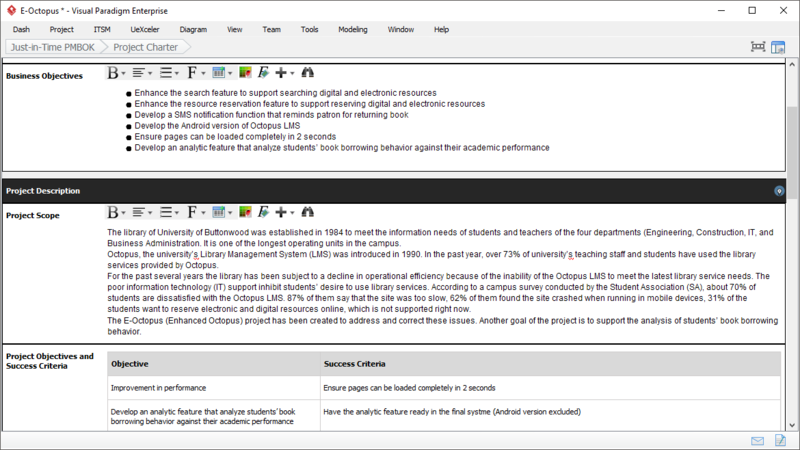 A large collection of forms, work items have been developed and available in the Work Items Gallery to support the customization of process templates. You can design your own forms, diagrams, meeting templates or logs as work items and put them in the gallery for reuse in the future.